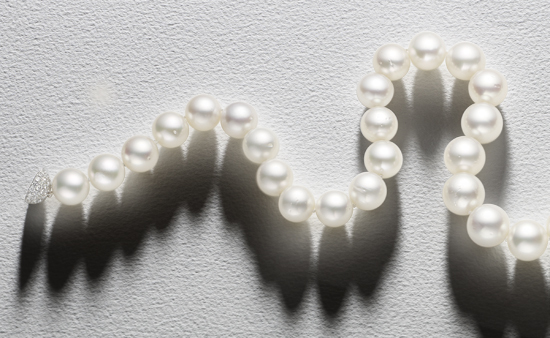 Is there an obvious difference between real and fake pearls ? Here are a few tips on how to tell real pearls from an imitation pearl. It is often said that a factory-made pearl will be very smooth to the touch if passed against a tooth, whereas a natural or cultured pearl is more textured due to its layers of organic matter called nacre. We do not recommend this method as it can be damaging to the real pearl. Never be tempted to bite into the pearl itself. Although specialist laboratories can provide an accurate assessment of a pearl by performing a range of tests including X-ray examination of the pearl itself, it can sometimes be possible in expert hands to identify excellent imitation pearls through touch and observation. The density, weight and sound when you click imitation pearls together can be quite different to that of real pearls. 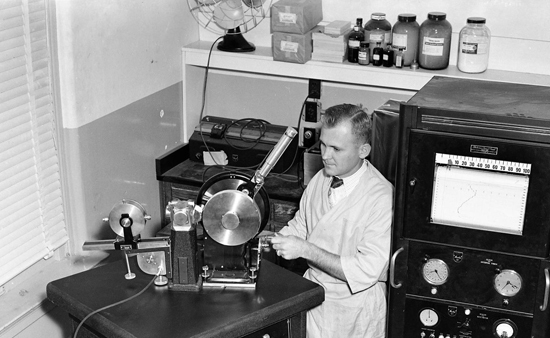 Another simple method used is to examine the drill hole in the pearl. 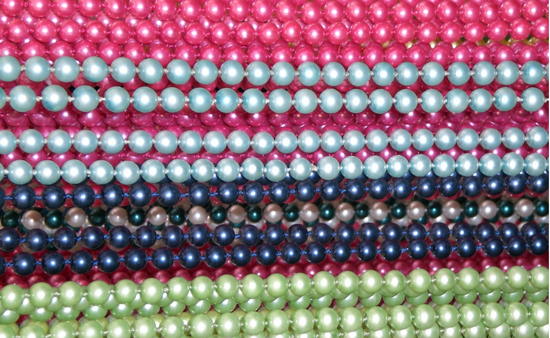 In contrast to natural and cultured pearls, the layering of varnish in factory-produced imitation pearls can often be readily identified at this point, perhaps by identifying some melting of the varnish at the actual drill hole. with thanks to the Cushing Memorial Library and Archives, Texas.